Find excellent deals at this outlet center. Waterloo Premium Outlets is just an hour from Rochester and Syracuse and easy to get to off of the New York State Thruway (I-90) on Route 318 between Exits 41 and 42. Visitors to the Finger Lakes region will enjoy browsing over 100 outlet stores with discounts on designer clothing, shoes, home furnishings and more. Shoppers to this mall can expect everyday savings of up to 65 percent off of the original prices. Note: Holiday hours will vary. From Rochester: Take the New York State Thruway (I-90) East to Exit 42 to Route 318 East. From Syracuse: Take the New York State Thruway (I-90) West to Exit 41, right onto Route 414 South, right onto Route 318 West. From Corning/Elmira Region: Take Route 14 North, right onto Route 318 East. From Auburn: Take Routes 5 & 20 West to Route 318 West. Just 16 miles. Finding additional savings for many of the outlet stores at Premium Outlets is easy. The first place to look is on the Deals page on the outlet mall website. There you will find the current in-store promotions going on and also any store coupons that are available. 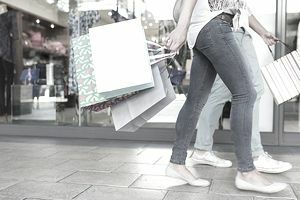 For shoppers who enjoy shopping at Premium Outlets, whether at Waterloo or other malls throughout the country, joining the VIP Shoppers Club is a great way to save additional money at the outlet stores. When you become a VIP Shopper (which is quick and free to join) you will receive VIP exclusive coupons that are often a lot more than the coupons on the deals page. Also, you will receive a voucher to get a Free Savings Passport, which has additional discounts at several participating stores. Along with extra savings at the outlet mall, VIP members get the Deal Around Town savings with coupons and special discounts at businesses located near the outlet center. And finally, when there are sales and special events, VIP members messages sent straight to their email boxes. Sometimes the VIP members have access to special shopping hours before the rush, which means you get a chance to check out the best selections before the general public does. Another great source for finding out about coupons and deals at the outlet or for asking questions, is by visiting the Waterloo Premium Outlets Facebook page. Members of the military, veterans and their families can show their IDs at the on-site Information Center all year long to receive a free Savings Passport with additional discounts and savings at many of the participating outlet stores.